Is a food truck worth it? We surveyed 300 full-time food truck owners and asked them to share annual revenue figures for their businesses to help answer this question. Of the 300 that we surveyed, a total of 223 vendors responded with annual income estimates. Vendors were given a list of five options to choose from and instructed to select the option that most closely represented their annual revenue for the previous calendar year. According to the responses to our survey, over 85% of full-time food trucks generate over $100,000 in annual gross revenue. Over half of the vendors that responded sold $150,000 or more from their mobile food units last year. According to this report from USAToday.com, the average annual household income for families in the United States was $64,819 in 2014. When you compare the anticipated income for a food truck owner versus the “average” American, the gross income numbers look pretty good. 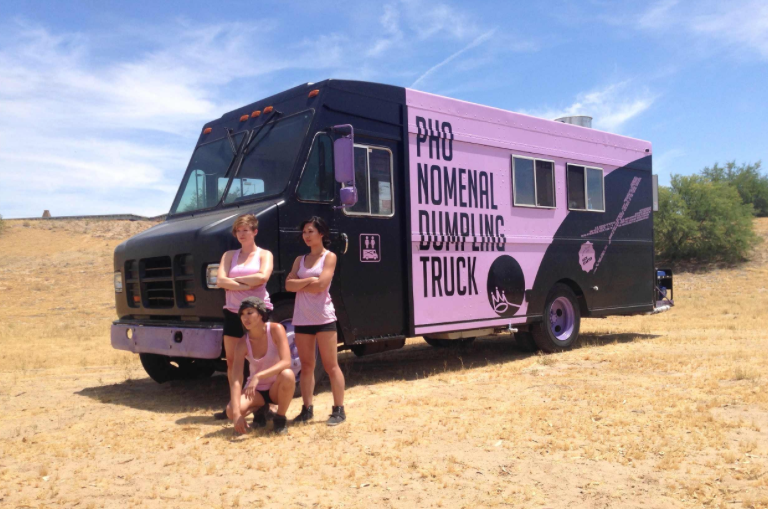 The Pho Nomenal Dumpling Food Truck Team. This survey was conducted anonymously so that food truck owners were free to share their real sales numbers. There were a couple reasons why we believe anonymity is the right choice for this case study. First, if a particular food truck vendor wasn’t generating much in terms of revenue they could be embarrassed and not want to share the real sales figures. Second, if a food truck was making a lot of money, they may not want the success of their business to be highlighted in a public forum for competitors to see and potentially model their business after. Another critical point we want to make with this study is that we surveyed individuals operating successful food trucks that have been in business for at least two years. As a result this study may have a certain level of what’s referred to as survivor’s bias. In simple terms this concept means that the sample set of 300 that we reached out to for a survey is biased in a particular way. One major bias is that they’ve already been operating profitably for two years, meaning that we have filtered out businesses that failed or are still in startup mode and not yet profitable. We openly admit that this is a flaw in our survey. If you have ideas for improving this in future surveys, let us know your thoughts in the comment field below. One thing that needs to be pointed out is that most of the food trucks surveyed were located in warmer states with a longer food truck season. Only New York would be considered a “cold state” from the vendors surveyed in this report. If you plan to operate a food truck in an area that has a real winter make sure to build lower numbers into your business planning. You may need to rely on things like catering gigs instead of a daily meal service to increase revenue during this time of the year. Another important distinction to make is gross versus net revenue. Gross represents the total amount of food sales on a truck. If you sell $250 worth of hamburgers in a day that’s your gross number. But it’s important to recognize that there are numerous costs associated with this number of expenses that are not represented in this survey like food costs, gas, regular vehicle maintenance, insurance and labor. In the food truck industry, the more you get out and serve, the more you earn. If you regularly run a lunch and dinner service, you will make more at the end of the year than if you only served breakfast. If you work weekends and holidays, you will also make more per year than if you took those days off to rest. While you’ll need to strike the balance that’s right for you as a food truck owner, if you want to generate more revenue all you need to do is attend more events. Keep in mind that frequency matters a lot with annual revenue figures of this type of business. Some food vendors choose to work on their business 1 – 2 days per week and bring in an extra $20,000 – $40,000 annually and are happy. The vendors represented in this survey identified themselves as “full-time” but that definition can mean different things to different people. Grilled Cheese Truck – Per this article when Dave Danhi operated the Grilled Cheese Truck solo, he grossed over $600,000 annually from one vehicle. That works out to over $12,500 in weekly gross revenue. That’s a lot of grilled cheese sandwiches! Net profits were reported at between $112,000 – $156,000 annually, which would make most mobile food entrepreneurs smile. MShack Burgers Generates Over $300,000 – After paying only $60,000 total for a their food truck MShack Burgers generated over $300,000 in additional revenue in their first year with a single food truck. This made the investment a no brainer from the perspective of an existing restaurant concept. The truck has also helped the restaurant generate more press and awareness for their business, which has helped increase traffic to brick-and-mortor locations. Average Salary of Food Truck Owner – Learn about some of the salaries you can expect to make on a mobile food unit. 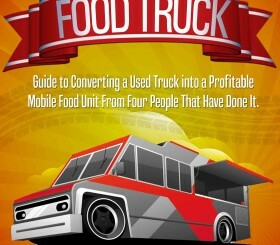 This report estimates an average food truck monthly revenue to be between $5,000 – $20,000. How Lobster Truck Guys Turned $20,000 into $20 Million – Although growing a small food truck into a $20 million dollar business won’t be easy, we’ve included this article published on CNBC.com to illustrate that the sky really is the limit with a mobile food business. Cousin’s Maine Lobster started out with just a single food truck in Southern California and today has a successful franchise, e-commerce store, and restaurant locations. Is a food truck really worth your time, energy and sacrifice? That’s a personal question you will need to be honest and ask yourself. Operating a food truck for a living is not a get rich quick plan and will require around 6 – 12 months to get profitable for most individuals. Still, if you have a burning desire to share your food with the world and are able to consistently cook items that people crave you can be successful and make a good living at the same time. Check out our food truck case study to learn more about what operating this type of business will really be like.